Buddy Club Seats - Racing Spec Sport Reclinable UNIVERSAL - Pann Auto Performance - San Diego largest aftermarket automotive performance parts - What do you drive? 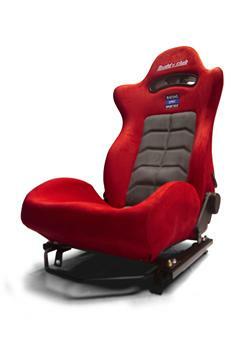 The brand new Racing Spec Sport Seat is the newest adjustable racing seat from Buddy Club. This seat is developed by Buddy Club racing team and the original design concept from the P1-Limited and Racing Spec Bucket Seat. The seat can use for different driving conditions and protect the driver comprehensively. The perfect design and technology we use on the precision-adjustable mechanism can assure proper ergonomics and best performance. The horizontal stripes design in the center is not only provided the optimal driving comfort but also allow the driver to feel cooler.